12 de octubre, 2016 — Traducido del inglés para Rebelión por Beatriz Morales Bastos — Menos de dos años después de que la candidata del Partido de los Trabajadores (PT) Dilma Rousseff fuera reelegida presidenta de Brasil, el senado brasileño la destituyó. Landless Rural Workers Movement (MST) leader Joao Pedro Stedile. 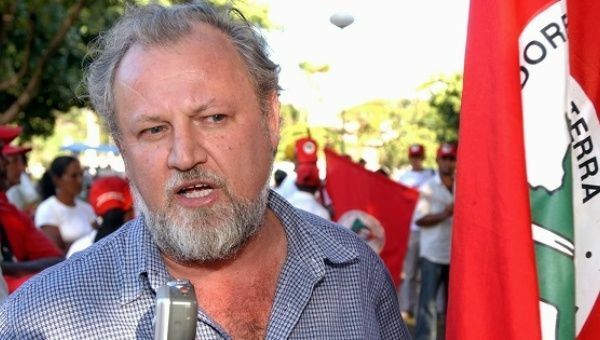 May 26, 2016 -- Links International Journal of Socialist Renewal translated from Brasil de Fato -- It only took a few hours or days for the provisional government of the coup-plotters to install themselves and demonstrate their intentions through the composition of its cabinet, the plans it has announced and its public declarations. May 23, 2016 -- Links International Journal of Socialist Renewal -- Brazil’s president Dilma Rousseff is facing a judicial coup as the country enters its worst political crisis since the military coup of 1964. What is at the heart of this crisis? Has the Workers’ Party project reached its limits? What is the opposition’s agenda? What are the implications for the future of Brazilian democracy? These were the questions addressed at the May 21 public forum "Political Crisis in Brazil"hosted by the Latin America Social Forum, Sydney. The forum included video presentations by Pedro Ivo Carneiro Teixeirense, PhD Candidate in Social History (Universidade Federal do Rio de Janeiro, Brazil & Ruhr University Bochum, Germany), and Camila Alves da Costa, a researcher at Nationalities' Observatory, Universidade Estadual de Ceará (Fortaleza); and executive editor, Tensões Mundiais journal. Below, Links International Journal of Socialist Renewal has posted their presentations. April 19, 2016 – Links International Journal of Socialist Renewal, originally posted in Portuguese on the PSOL website - Brazil’s lower house voted on April 17 to impeach Brazilian president Dilma Rousseff in a move that many see as an attempt by the right-wing opposition to carry out a “institutional coup”. The vote came after a series of massive protests - both for and against Dilma - that have rocked the largest country in Latin America. In October 2014, Rousseff was elected to a second term, and a fourth consecutive term for the Workers Party (PT) after Lula da Silva’s two terms in office. It will now be up to a vote in the upper house, scheduled for May, as to whether she is impeached. Among those to vote against the impeachment process was the Party of Socialism and Freedom (PSOL), the largest party to the left of the PT, and which has maintained a strong oppositional stance towards the current government. Below is a translation of a PSOL statement released just prior to the vote explaining why they would be voting against the impeachment process. 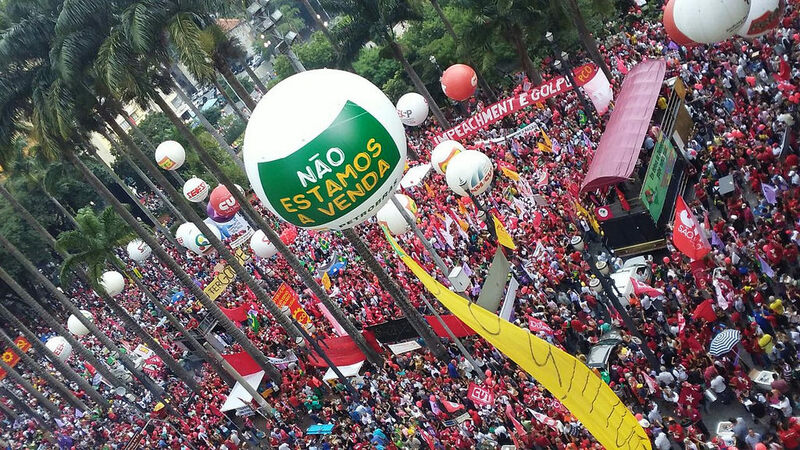 April 16, 2016 -- Links International Journal of Socialist Renewal -- Over 700,000 Brazilians took to the streets on March 31 across dozens of cities in Brazil in defence of democracy. The demonstrations were called by the Popular Front of Brazil, of which the Landless Workers Movement (MST) is a key part. 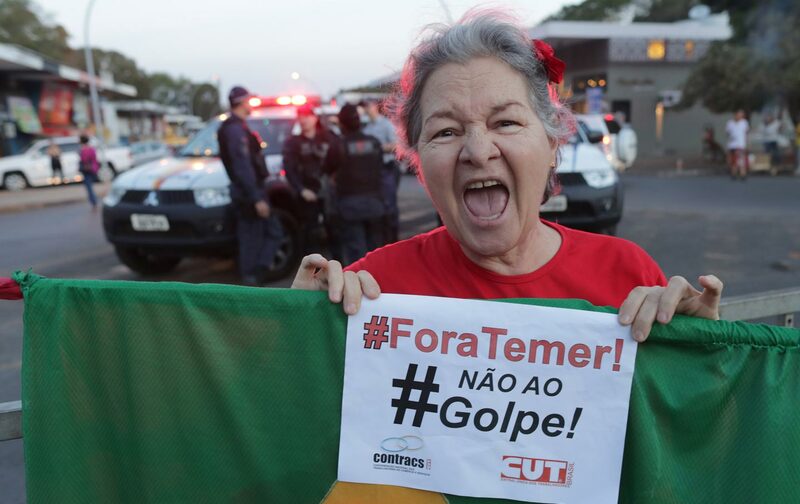 The demonstrations demanded an end to the impeachment proceedings against President Dilma Rousseff, which protestors say is equivalent to a coup. Below, Links International Journal of Socialist Renewal is republishing two articles reflecting the views of the MST on the current political crisis in Brazil which have been translated by Friends of MST. The first is the MST's analysis of the origin of the political crisis and the role of the social movements and working class in this struggle. The second was written by MST leader João Pedro Stedile, and looks at how the crisis has been accompanied by rising rural violence, including the killing of two farm workers on Thursday April 7.